The BEST and Easiest Frittata Recipe You'll Ever Make- Use Your Leftovers! 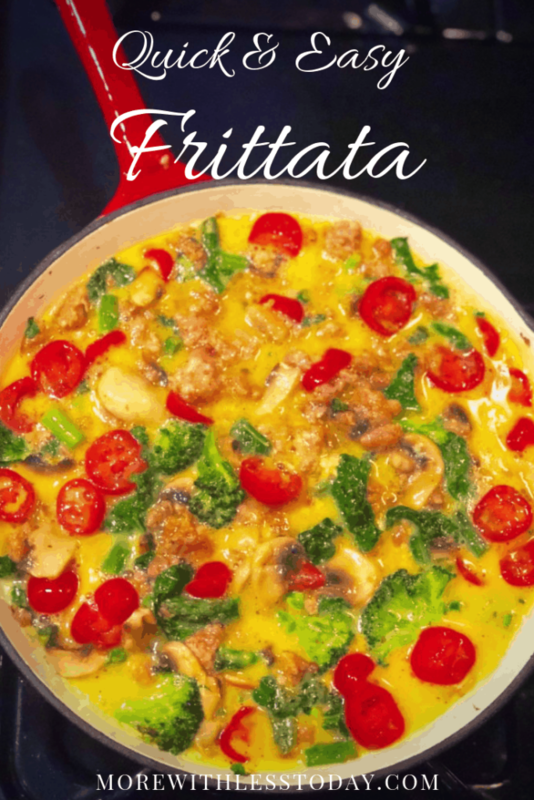 The Best and Easiest Frittata Recipe You’ll Ever Make – Use Your Leftovers! I often have vegetables that I did not get around to cooking during the week that by the weekend need to be used or they will go bad. One way I use what is left over in my fridge is to make a frittata using anything in there that needs to be cooked. I’m thrilled to share my frittata recipe with you so you can use your leftovers veggies in a filling dish, too! I don’t like to waste food, but sometimes things come up during the week and dinner plans change so I have things that need to be cooked quickly, this is a great way to reduce food waste. 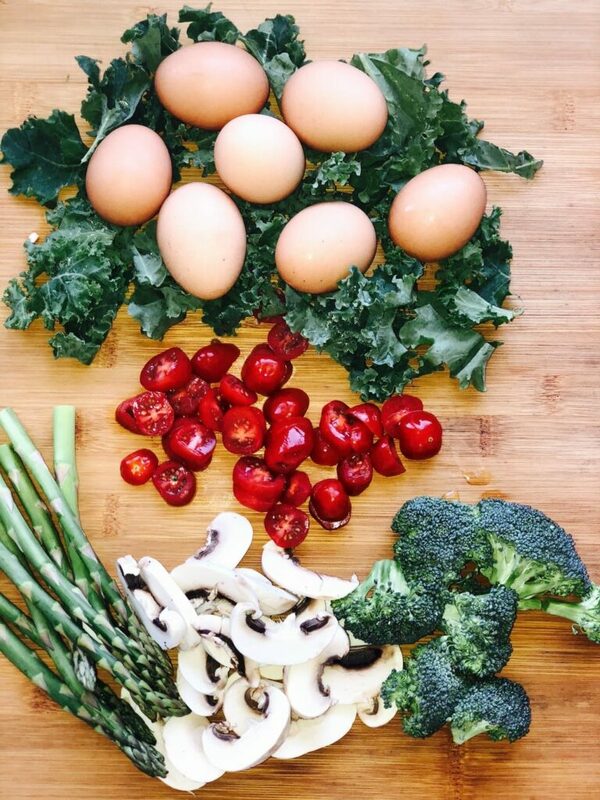 On Sundays, I go through my fridge to prepare for a grocery store trip and take what needs to be used to whip up a delicious frittata that will feed our family breakfast for a couple days. In this frittata, I had chicken sausage that I cooked in a cast iron skillet. I drain some of the fat and add the veggies to sauté until soften, pour the eggs over and finish it off in the oven. 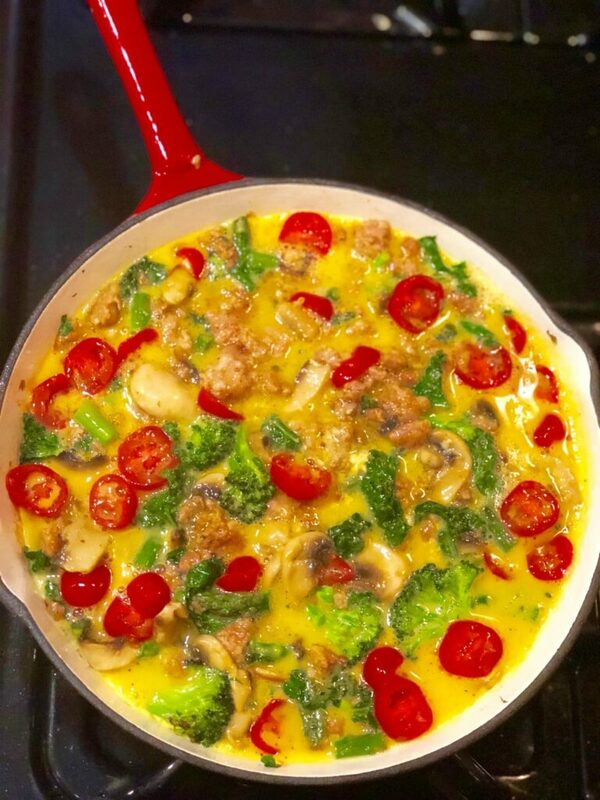 This is a simple recipe and you can be creative with your frittata, add bacon instead of sausage, top with cheese, use only veggies, it is totally up to you, your preferences, and what you have in your refrigerator! It’s easy to confuse a frittata with a quiche or an omelet. The difference is that a frittata doesn’t have a crust. The main feature of a quiche is the flaky crust surrounding the egg and veggies. The difference between a frittata and an omelet is how they are cooked. Frittatas have ingredients mixed into the eggs, cooked in a cast iron skillet on the stove and then transferred to the oven to finish cooking. Omelets have the ingredients places on top and then folded into the eggs, all cooked on the stove. Frittatas are a very popular breakfast or brunch dish and can feed a crowd. Here’s how to make my family’s favorite frittata recipe for your family. 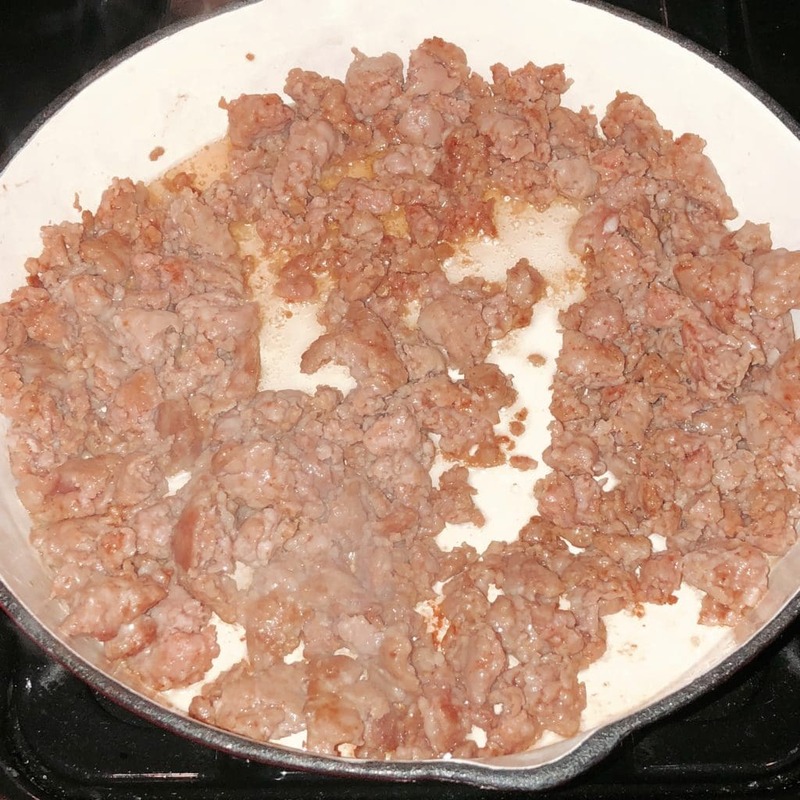 In a cast iron pan on medium heat separate and cook sausage until browned. Drain some of the fat once browned but leave some to sauté the vegetables with. Add in asparagus, broccoli, and mushrooms and saute until softened. While veggies are cooking, whisk 7 eggs. Stir in kale and cook until slightly wilted. Stir in cherry tomatoes. Pour egg mixture over veggies and reduce heat to low and cook for 5 minutes then transfer to the stove and cook for 10 minutes or until the frittata is thoroughly cooked. You will be able to tell when the frittata is fully cooked because the eggs will be firm, not runny in the middle. Remove from oven and allow to cool. Use a spatula around the edge and underneath to ensure it does not stick to the skillet, flip on to a plate or use spatula to remove, Slice, plate, and enjoy! Eggs are an all-around healthy option for breakfast. They fit in a variety of diet plans including Paleo, Keto and Whole30. Here’s how to make them for your specific diet plan. When you are eating Keto, the most important thing is to count the net carbs. So when you cook with sausage, for example, pay attention to the amount of sugar in the sausage. Try to choose sugar-free sausage or bacon. Or make a vegetable frittata. Remember: cheese is a very low-carb food, so cheese up your frittata! To be Whole30 compliant, a recipe needs to be sugar-free and dairy-free. So just pack your frittata with veggies and sugar-free meat and you’ll be good to go. 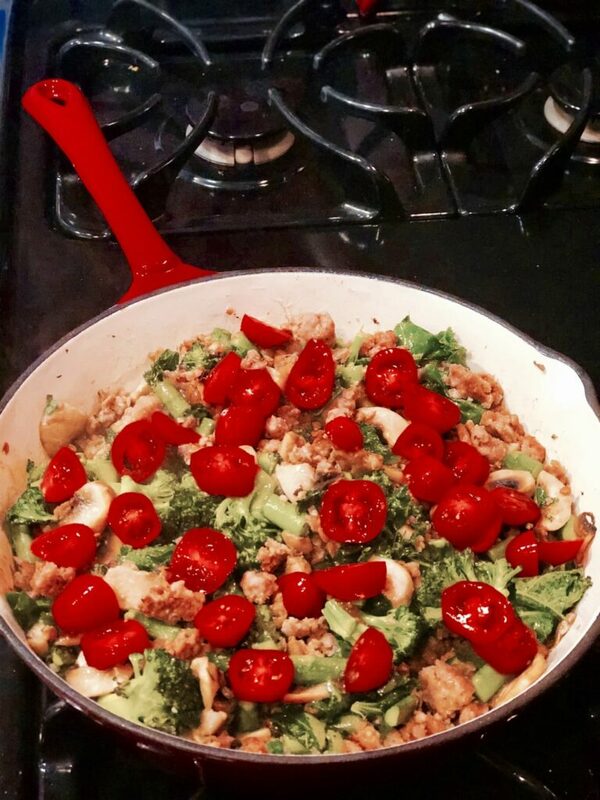 Remember, Paleo recipes follow eating how the caveman ate. So you can’t use any modern farming techniques or processed foods. 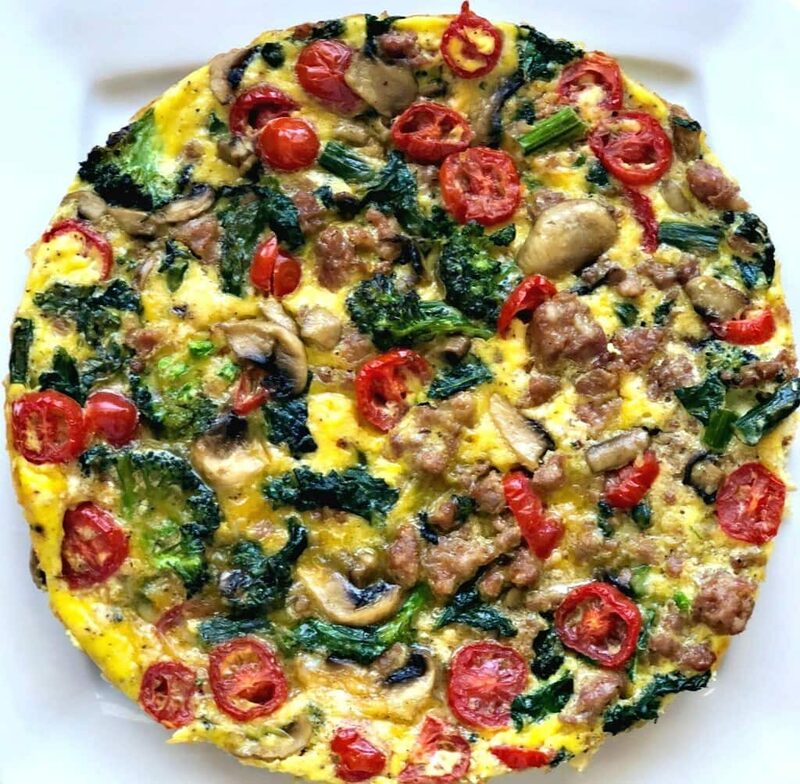 For this frittata to be Paleo, choose free-range eggs, don’t use cheese, and use grass-fed meats. You can use any vegetables you want. Here are some of my favorite breakfast recipes! Maybe even try some of them for your next breakfast for dinner idea.